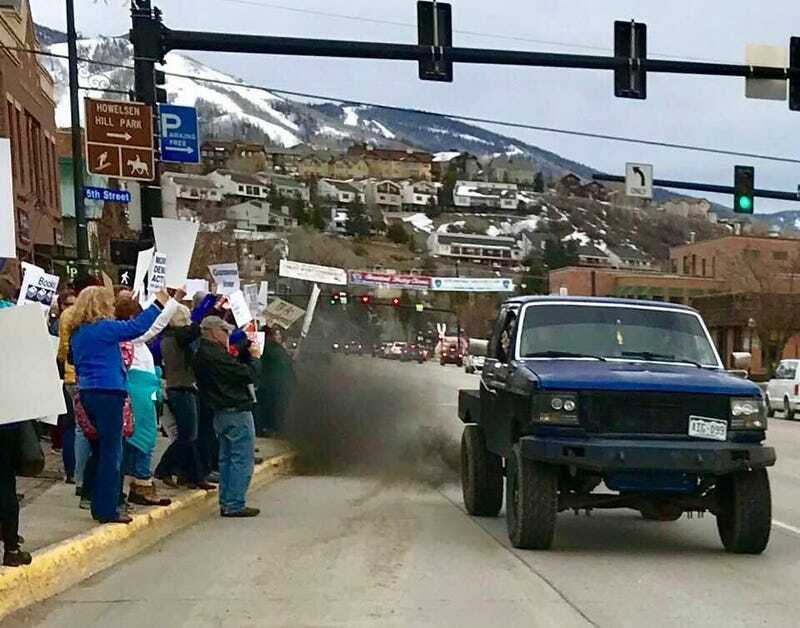 So Colorado passed a law last year against rolling coal. This gentleman was unhappy about people protesting gun violence, so on video and in front of police, he really showed them about ‘Murica! His citation was $113, which will cut into his future truck modding budget.